SALT LAKE CITY (AP) — A Utah firefighter whose department is still reeling from the death of one of their own during California’s largest wildfire is starting a new chapter with a dog he found near front lines of the same fire. 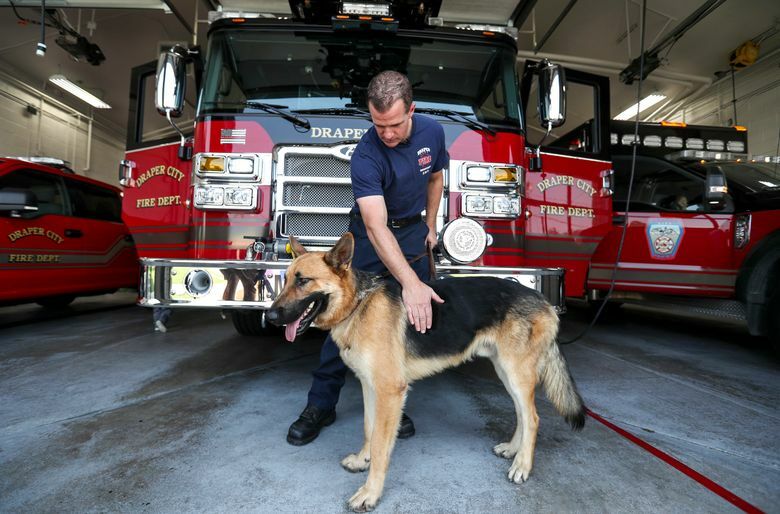 Draper firefighter Patrick Cullen said Monday he never forgot the exhausted, thirsty German shepherd who emerged from the Northern California wilderness earlier this month as the Mendocino Complex Fire glowed in the distance. He gave the dog some water and let him sleep under the engine, but as the fire overtook their location he left him with another crew who could bring him to a safe spot away from the flames. He thought that might be the last he’d see of him, but as the days wore on fighting the blaze he marveled at the chances of the pup finding him and worried about how he’d fared. Cullen started calling animal shelters. He didn’t have any luck at first, but finally tracked him to the Mendocino County Animal Shelter. 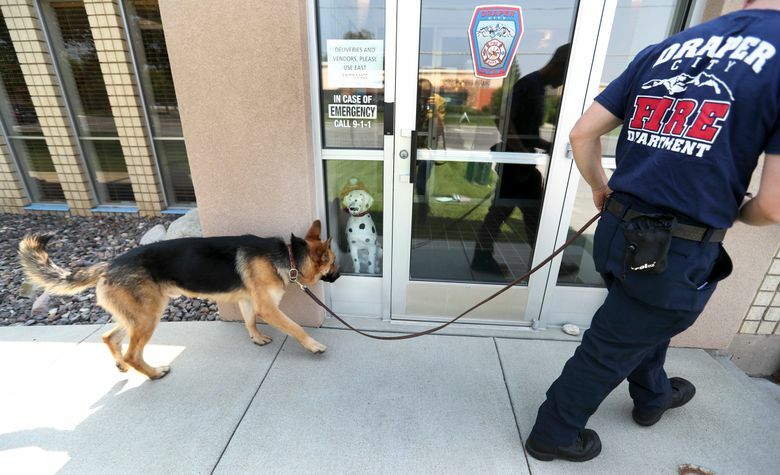 The approximately 2-year-old dog had been dropped with a veterinarian, who treated him and then sent him to the shelter, said Richard Molinari, director of animal care services at the shelter. Molinari then learned Cullen had worked with Draper Battalion Chief Matthew Burchett, who was killed by falling tree debris while fighting the blaze on Aug. 13. The two men had known each other through the community of Utah firefighters for more than a decade. “The wind was out of his sails when he talked, he was down in regard to everything,” Molinari said. The dog didn’t have a microchip used to track pets, but the shelter kept him for about a week, the standard period they wait for people to claim lost pets before putting them up for adoption. When no owner appeared, staffers drove the dog out to Reno, Nevada, to reunite him with Cullen, who had since returned to the Salt Lake City area. He named him Mendo, after the Mendocino Complex Fire. Mendo is now settling in with Cullen, his family and their two other dogs. The dog is a bright spot for Cullen and the rest of the department in what’s been an otherwise heartbreaking month. “In the middle of all the tragedy we’re going through, there is a happy story that came out of our journey to California,” Cullen said.